Professionally designed and developed strictly complying with the highest safety protection standard. Patented invented material with a better weather ability and a working temperature range from -40℃~90℃. 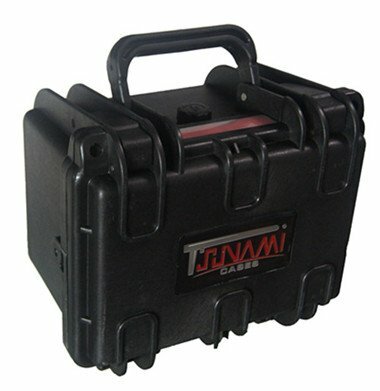 Anti-ultraviolet and Impact resistance case body. Advanced valve design, avoid troubles of pressure differences. Humanization design of the interior is convenient for setting meters and other devices. Patented design of seal has a protection degree IP 67. Ergonomic handle with a rubber covering design has a comfortable hand feel and lessens strain. Standard configuration is solid wavy foam with cube foam, which enhance protection degree and easy-to-use. Photography: storage and carrying of precision camera or lenses etc. The waterproof, damp proof and shockproof functions offer a better protection to your valuable devices.